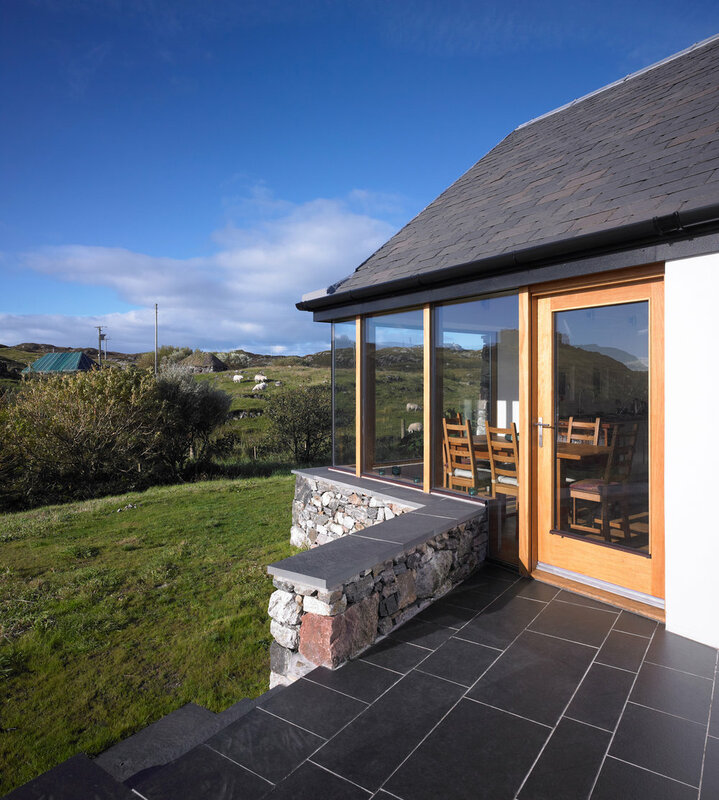 An original 1970's kit house was replaced with a new house which interprets the form and arrangement of the surrounding ruined croft houses in the ancient settlement of Sorisdal, making a building which feels like it has always been part of its beautiful surroundings. 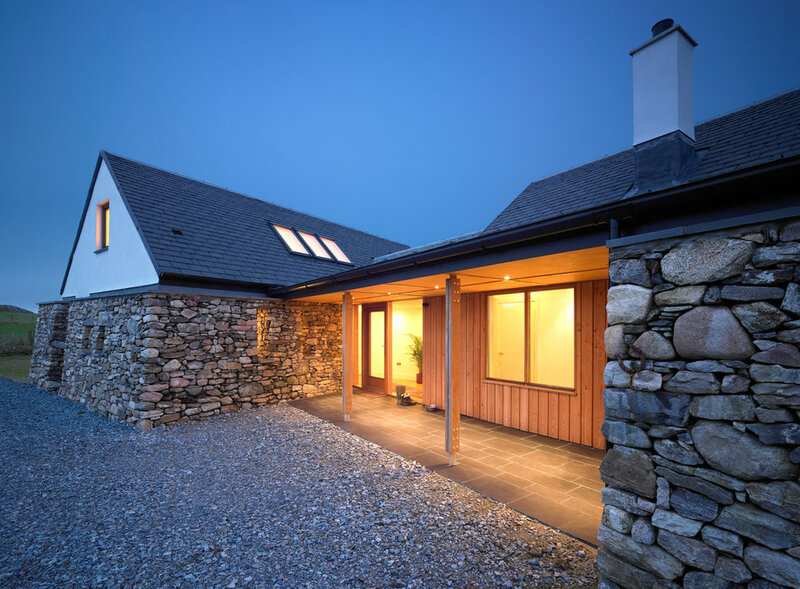 The house has two simple, vernacular proportioned sections and a lower link section with a heavy dry stone skin hunkering the building down into the landscape. 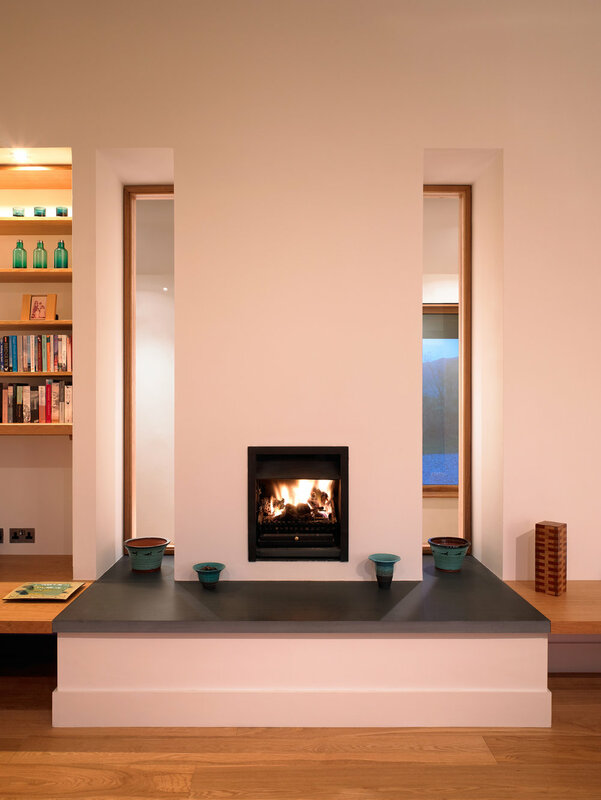 The seaward walls in the living spaces open up for views over the bay and beyond to Ardnamurchan. This house was completed in spring 2010. Featured in the Scottish Government's "Inspirational Projects" collection.